I help a lot of people on forums who ask questions about time intelligence for DAX. If you are just starting out then the chances are that you may not even be clear what time intelligence is and hence sometimes you don’t even know what to ask. Often the question is something like “I want to show this year and last year on a chart”, or “total year to date this year compared with last year” etc. If you want to do any time based comparison using DAX, Power Pivot and or Power BI, then this article explaining time intelligence is the right article for you. Same period prior month, quarter, year etc. Same period next month, quarter, year etc. Same period year to date compared with prior year, next year etc. Rolling 30 days, 60 days, 90 days, 12 months etc. Time intelligence is used when you want to “time shift” any period with another period of time for comparison purposes or to simply display a different period than the selection. Before you can understand why time intelligence needs a special approach in DAX, you first need to have a clear understanding of Filter Context. Pivot Tables and Power BI visuals both slice data so that you can “drill” and “filter” to see a sub-set of data. Take the image shown below. On the left is a pivot table and on the right is a Power BI visual. Starting with the Excel Pivot table on the left, every value cell in the pivot table has been filtered more or less by the Rows, Columns, Filters and Slicers that make up the Pivot Table. The cell highlighted as 1 (above left) has the following filters applied. Product[Category] = “Bikes” – this comes from the Category in the filter. After these filters are applied, the calculation for the cell is evaluated and the answer $2,947,789 is returned to the cell. Every value cell in the pivot table is evaluated in exactly the same way – including the Grand Total row in the pivot table. In the case of the grand total row, Product[Category] and ‘Calendar'[Year] have the same filters, but there is no filter on Territory[Country]. On the right hand side in the image above is a Power BI visual. Filtering in Power BI visuals fundamentally works the same way as a pivot table however there are more places for cross filtering to come from. 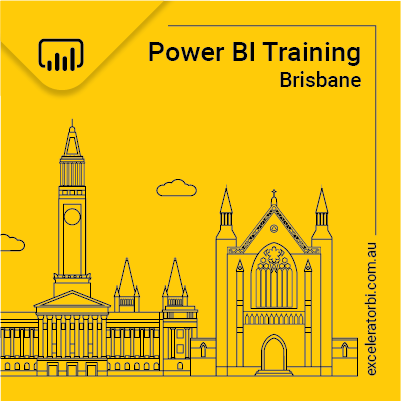 In the image above, the same filtering is applied as in the Pivot table but in the Power BI example the filters are applied in a different way. Product[Category] = “Bikes” – this comes from the Category in the tree map visual. When filter context is passed from a visual to the underlying data model, all the relevant tables are filtered before the calculation is completed. Filter first, evaluate second is a fundamental principle for all DAX formulas. Let’s assume you want to compare total sales on a particular year vs prior year. One way to do this (in Excel) is to put the years onto Columns in a pivot table as shown below (a similar approach can be used in Power BI). There are years in the pivot table that you don’t want (eg 2001, 2004). You will need to somehow manually hide or filter the ones you don’t need. If you want to calculate the absolute change or % change year on year you will need to hard code some formulas in the cells next to the spreadsheet and hence they can’t be reused in other visuals later. If you want to look at a different year you will potentially have to go through the process of doing the filtering and formulas again from scratch. A better way to solve this problem is to select the current period (using a slicer or filter of some sort) and have a universal formula that returns the result relative to the selection. So if you select 2003, the formula will automatically select 2002 for you. If you select 2002, it will automatically select 2001 (and so on). If you want to write a relative time intelligence formula, then the natural filtering behaviour of a visual becomes your enemy. Imagine a calendar table with a filter applied Calendar[Year] = 2003. If you imagine what the filtered data model would look like “Under the hood”, it should be clear that the filtered calendar table will show rows starting on 1 Jan 2003 and ending on 31 Dec 2003 – it will contain 365 unique days for the single year 2003. The filter has already been applied to the data model so only days in 2003 are available for the calculation – how then can the data model possibly access sales for the year 2002? There needs to be a way to go back in time and fetch a different period (in this case the period is 1 year earlier in time than the selected period), yet the 2003 filter has already been applied preventing this from occurring naturally. This is the reason why there needs to be a special set of time intelligence functions – to solve this natural filtering “problem”. then remove the calendar filtering from the underlying tables so that data for “all time” is once again available. then perform a time shift to find a different period in time (as specified in the formula). Finally reapply filters on the data model for the time shifted period prior to calculating the final value. There are 2 types of time intelligence functions – Custom and Inbuilt. Inbuilt time intelligence functions are easier to write because they have been designed to protect the user (ie you) from the complexity. I am not going to cover Inbuilt time intelligence in depth here because they are relatively easy to use. See link at the bottom of the page if you would like to download the DAX reference guide I produced (including all the time intelligence functions). The reason inbuilt time intelligence functions are easier to learn is they actually are what is known as “Syntax Sugar”. Microsoft has created these special functions to make them easier to write and easier to understand. You follow the simple syntax and Power Pivot does the rest. But under the hood the inbuilt time intelligence functions are converted to the full syntax prior to evaluation. Consider the following two examples (just to illustrate the potential complexity in the custom version). Both of these formulas return the exact same result, and in fact both use the same approach to calculating the result under the hood. The only difference is the inbuilt version is much easy to write because you (the DAX author) are protected from the full syntax. The end result (regardless which formula is used) looks like this in a Pivot Table. Looking at the highlighted cells, even though cell 1 above is filtered to show only sales for the month of July 2003, the Time Intelligence function (cell 2 above) is able to display sales for the period Jan – Jul 2003. It does this because the formula performs the following 4 steps. It first “detects” the current filter context to determine what the “current” selected period is. In this case July 2003. It then removes the Calendar table filtering from the underlying tables so that all data is once again available. It then performs a time shift to find a different period in time – in this case it holds the end date in the current filter context the same (31 July 2003) but shifts the start date back to 1 Jan 2003. Finally it reapplies filters on the data model for the time shifted period prior to calculating the final value. The custom time intelligence formulas can be daunting when you first see them – but actually they are easy to understand as long as you clearly understand the role of each part of the formula. Below is the same formula again (from above) along with line numbers to make it easier for me to refer to. Line 2 (CALCULATE) is the only function that can change the natural filtering behaviour coming from a visual – that’s what it does. CALCULATE always filters first, evaluates second (as mentioned above). So lines 4 – 8 are executed first (filters applied) and then the formula on line 3 is evaluated last. Lines 4 – 8 (FILTER) is where the filtering occurs. There are a few confusing things here. Line 5 refers to ALL(‘Calendar’) instead of simply ‘Calendar’. Lines 6 and 7 seem to be evaluating against themselves – very confusing. Let me explain each line. The key thing to understand here is that the filter portion of calculate always operates in the current filter context. That means that the Calendar table in line 5 has already been filtered by the visual (eg the Pivot Table). Looking back at the pivot table image above, this means that the line 5 is already filtered by the pivot table and hence the Calendar only has dates from 1 July 2003 until 31 July 2003 available – all other dates have been filtered away. The purpose of the ALL Function therefore is to remove all filters from the current filter context. If it didn’t remove these filters, it would not be possible to access dates outside of the month of July 2003. Now they have all been removed, it is time to add back the date filters that are needed. Whenever you see an aggregation function (in this case MAX) around a column, it means “go and read the value from the current filter context”. Whenever you see a “naked” reference to a column (ie there is no aggregation function around the column), then it means “go and apply a new filter on this column in the data model. Taking these 2 rules, it should be clear that MAX(‘Calendar'[Year]) in the current filter context is = 2003. Line 6 therefore says “Go and apply a new filter on ‘Calendar'[Year] to be equal to 2003. Note that you can use any aggregation function in these formulas that does the job. In lines 6 and 7, you could use SUM, MIN, MAX, AVERAGE or any other similar aggregation function and still get the same result. You could also use VALUES or DISTINCT in the case of line 6, and LASTDATE in the case of line 7. There is no right or wrong answer, simply think about the need and then find the best function to use. “AND also go and apply another new filter this time on ‘Calendar'[Date] to be less than or equal to 31 July 2003”. With both of these filters applied in a logical AND, the Calendar table will contain all of the dates from 1 Jan 2003 until 31 July 2003. Once the time intelligence function has been written, it can be added to a visual as shown below (Power BI Desktop). Note how the YTD formula seems to “defy” the filter context coming from the visualisation due to the custom time intelligence function that has been written and explained. Time for a different example. Now that I have covered how a custom time intelligence function works, let me show you a couple of inbuilt time intelligence measures that solve the original problem (Sales vs Prior Year). So where can you find a list of all the inbuilt time intelligence functions? One of my students at a recent training class asked me if there was a list of all DAX Functions – kind of like a cheat sheet. I wasn’t able to find such a thing so I produced exactly that and I am making it available free to anyone that would like a copy here. This reference guide covers all of the inbuilt time intelligence functions on page 14 as well as every other function across the language all nicely laid out to make them easy to find. You can download this reference guide below. If you haven’t ready done so, why not sign up for my weekly newsletters at the same time so you are kept up to date with my latest tips and tricks about Power Pivot, Power Query and Power BI. Uncheck this box to download without subscribing. 1. Current MAT, MAT LY, MAT 2 Years. 2. Calculating Week number based upon MAT. 3. 3,3,4 or 3,4,3 weeks to a Qtr. 2. Changing YTD, Qtr or MAT to a Financial Year start, changing the week start from Sunday to Monday. I’ve worked around these irritations by adapting the Date Table. However, I would have thought that these measures are De-rigueur now and would have been included. Thanks so much for the free DAX reference guide, Matt. Your explanations are always so clear and with great examples. Thanks for your blog. It is extremely well written and is my primary source along with the aussie books recommended by you. I´m quite new to BI. I tought I was doing fine with an “advanced” excel including array formulas and basic VBA. After that I changed to a job doing more operational tasks so I pretty much stopped studying excel since 2010. A couple weeks ago since I discovered the Power BI suite and SSBI supplements I am extremely excited and want to implement it pretty much in everything! One problem that I am having trouble to find some literature is about dealing with SCD. I feel I still have no base or the solutions are pretty much out of the box. Can you do some post about that? I would appreciate it very much! Thanks again, and excellent work! PS: Sorry for my bad and rusted english. Hi Renato. I’m glad you like my blog. Unfortunatley I don’t know what SCD is. Can you provide more context? As far as I know SCD is slowing changing dimensions in which the values of your lookup tables change over time. Depending on how your database is structured you may encounter some problems to tie your data in a historically correct manner. but the sample file doesn´t have any relationship between the tables, so I think the implementation might be not trivial. In my specific case, I have an inventory problem with several tools that are used in several locations, so each row in the data table is the tool going from location A to location B, but the total amount of tools may change every 6 months or so. Every week we take a snapshot of which tools are in which locations, so you start with the snapshot of the number of each tool inevery location possible and build the final status in the end of the report. The other thing is that the responsible for each location changes every couple months, so it´s kinda hard to keep track of it too. Ah yes, slow changing dimensions. I know what they are (clearly I just don’t know the abbreviation). It is an interesting problem because it is something that is normally dealt with by IT, not by self service BI users. But I understand there may be a need. I will add it to my list of blog topics (although I am normally driven by what ever takes my fancy at the time 🙂 ). There is a link to download the guide at the bottom of the article above. Someone reached out to me about your Guide, the link is at the Top of the Article, depending on what browser you are using. Yes, this reference guide with 360+ pages is a great resource. My 15 page quick guide doesn’t attempt to compete with this. I’m new to Power BI, I’m looking for rolling 12 months calculation in Power BI. if I select any one value from the month slicer, then, the bar chart should show last 12 months of values (each month value not cumulative). Example :- if I select “November 2017” from the slicer, then, bar chart should show from “December 2016” to “November 2017” (which means, including selected value also). Hope I have explained clearly. Hi Matt, I am new to BI. Seeing the slicer in your example, it seems to me that the maximum year value is 2004. Thus, MAX(Calendar[Year]) would be equal to 2004 and not 2003 since ALL(Calendar) removes slicer filter . Please can you help me to understand this point? It’s really a good post. I have one question on dimensional modeling. In MDX generally we can create one dimension as Date intelligence and the attribute in the dimension have all members like YOY, MOM,YTD, QOQ,QTD, Previous month, etc… And with MDX code we can define individual members with their respective formulas. In that case its helpful for me to get all time intelligence by all measure groups. For example: I have 5 measure group and each group have let’s take 10 measures. If i need time intelligence for all measures I need to write individual code for individual measure. But with dimensional modeling same dimension can use for all measures and as a result it will give all time intelligence value. so that one formula can be use for number of measures. How can we build the same model in DAX? I guess there are various ways. One way is to write all the measures (Act, YTD, YOY etc) and then write a SWITCH measure to swap between these things. Yes you have to write all the measures, but that is not that hard. Is this possible with DAX? from 01.01.2017 to 31.12.2017 -> ??? Sorry, I don’t understand. Please ask a question at powerpivotforum.com.au with examples of what you have done and what you are expecting. I love your guide. It’s very helpful for understanding time functions. I have a specific request in mind I was hoping you could help with. So I have a preexisting date table which already contains the current date and the associated last year’s date (with granularity of 1 day) in the same row. I was hoping, as every data is also labelled with the current date, to find out how I can associate every dataset with the appropriate last year dataset by linking two dates together and pulling up the previous year’s data that way and presenting it in a side by side comparison chart. If you have any ideas on how I might accomplish this I would greatly appreciate it. This is a guess. Please let me know either way. If it doesn’t work I will need a sample workbook to take a more detailed look. Thank you for your clear explanation. I am new to power Bi and DAX. I am trying to find the percentage change in the last compared to the first year i.e. [(YL-YF) -1] * 100. I have a single table data model where one column is of a date data type. To do that I write the this DAX formula CO2 2010 = CALCULATE( [Totaal CO2 M.ton per Year]; FILTER(‘Total CO2’;’Total CO2′[Year] = 2010)). But, I am not able to do that. Do you have a tip for me, please? Thank you for your time. My tip is to not take short cuts. Don’t try to write time intelligence without a calendar table. You can read about calendar tables here https://exceleratorbi.com.au/power-pivot-calendar-tables/ and you can learn how to create one here https://exceleratorbi.com.au/build-reusable-calendar-table-power-query/ Make sure you have a year column in your calendar table and then a formula like the one you have presented will work.